This magazine is cute and portable and has nice food photography. I cook from it regularly. Not every recipe is a winner but there are several that have made it into the book of recipes I keep (more on that later). My favorite recipe yet being the Corn and Butternut Squash Chowder. I have subscribed to this magazine for 3 or 4 years and like it so much that last year when I got a renewal notice, I sent a gift subscription to Cara for free. It was really fun to chat about cooking the same recipes from the magazine and was a major path in starting Kitchen Table Friends! This subscription came about from one of those school fundraisers from a family member. Naturally I choose a food magazine. This magazine just isn't on par with the others I like. The photography and the writing didn't get me excited about cooking. I'm not going to renew. The recipes I tried were ok, but nothing really struck my fancy except for that rockin' butternut squash lasagna. I just got my first and second issue this month. The graphic design and photography is very hip and classy. I am looking forward to spending more time reading and cooking from this magazine. A ten page spread focus on vegetable centric recipes?! Hooray! Isn't it the food magazine? I buy Real Simple every now and then, and they have great reliable recipes like the ravioli with apples and walnuts! 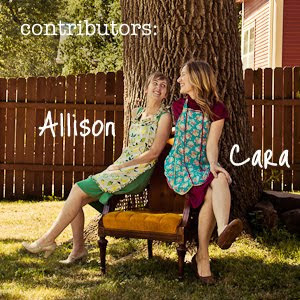 Check out this blog The Bitten Word about two avid food mag readers who started a new year's resolution in 2008 to start putting their food magazines to use! Do you subscribe to any food magazines ? What are your favorites? Have you tried Cook's Illustrated? I enjoy reading about the research they go through for each recipe. I've collected a few keepers over the years. Not a lot of quick, weeknight options, but great for weekends and experimenting!